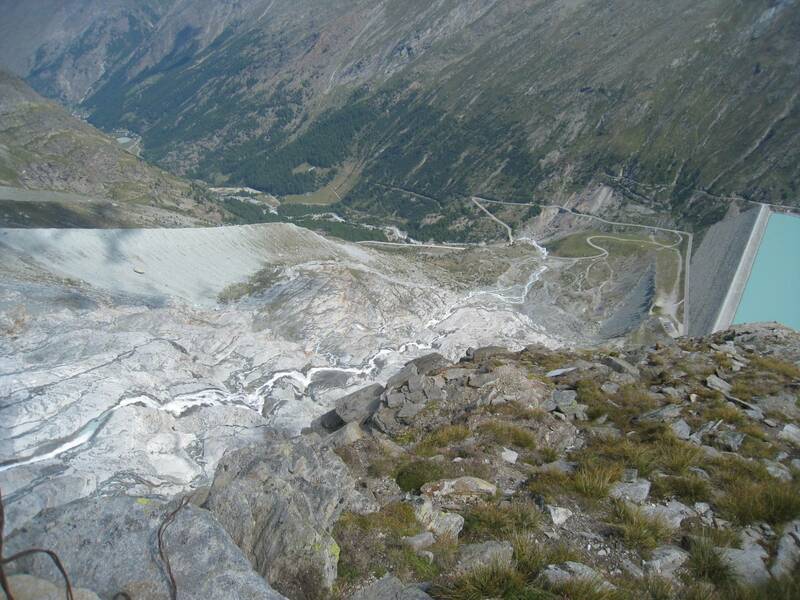 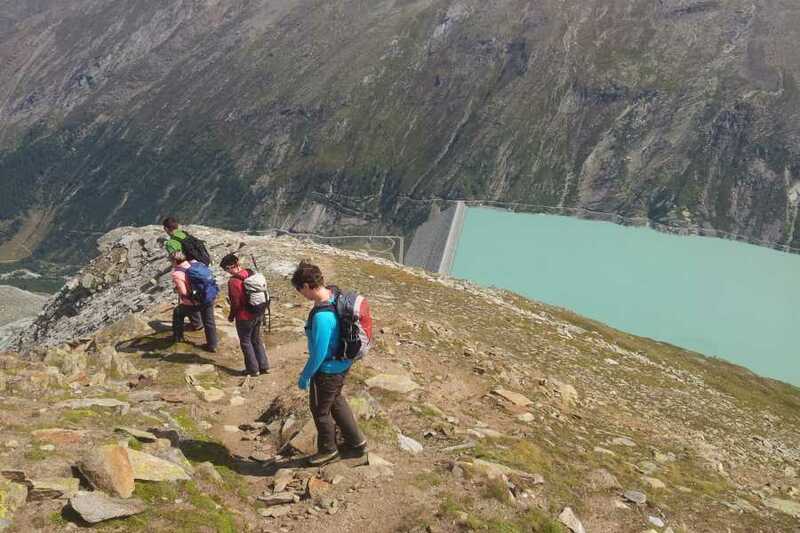 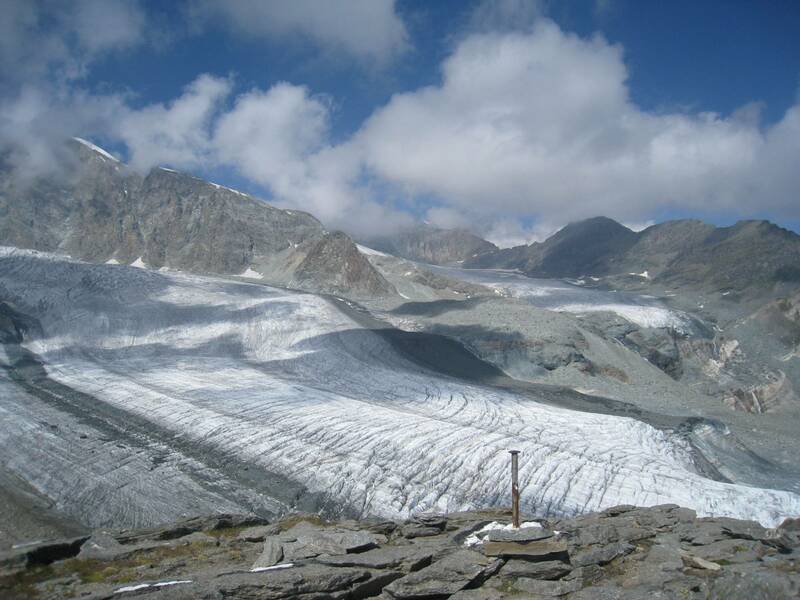 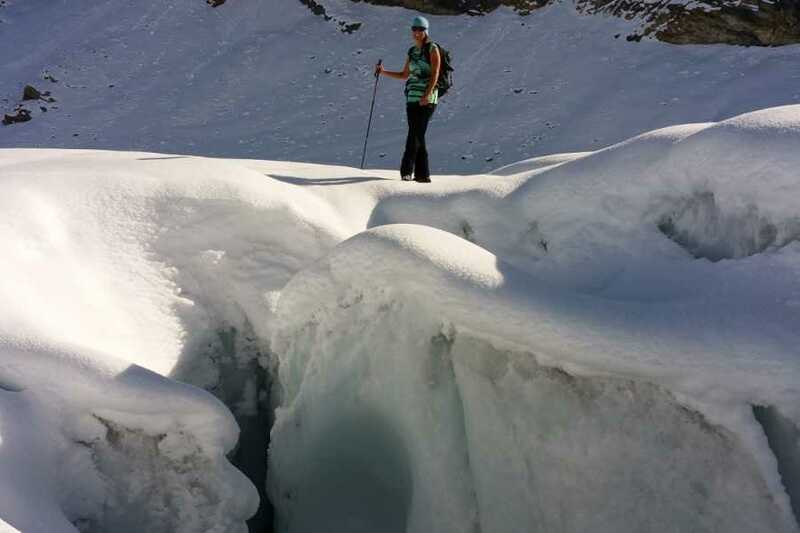 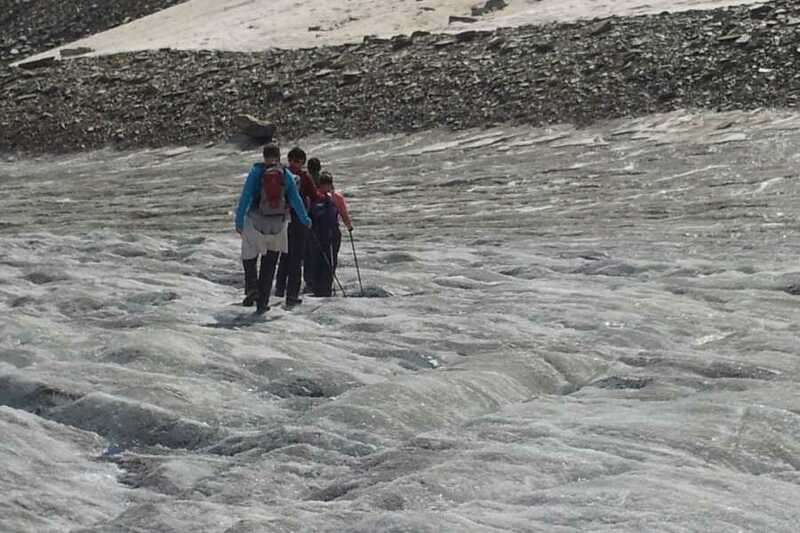 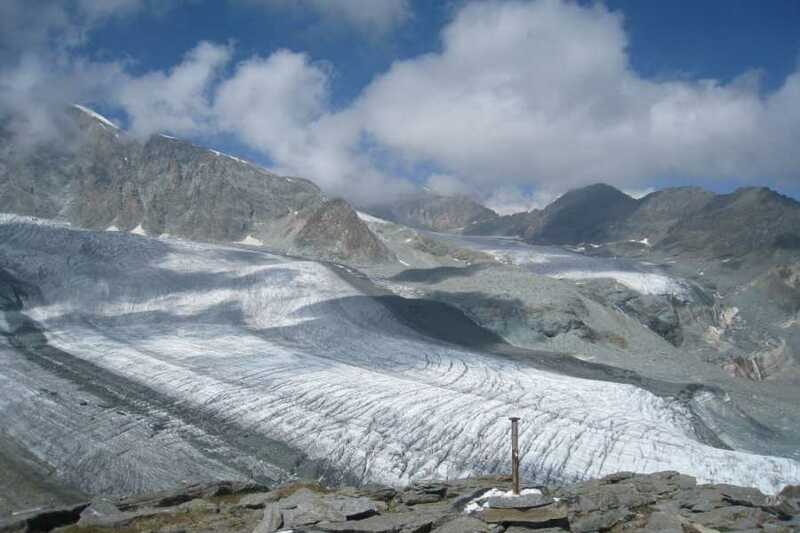 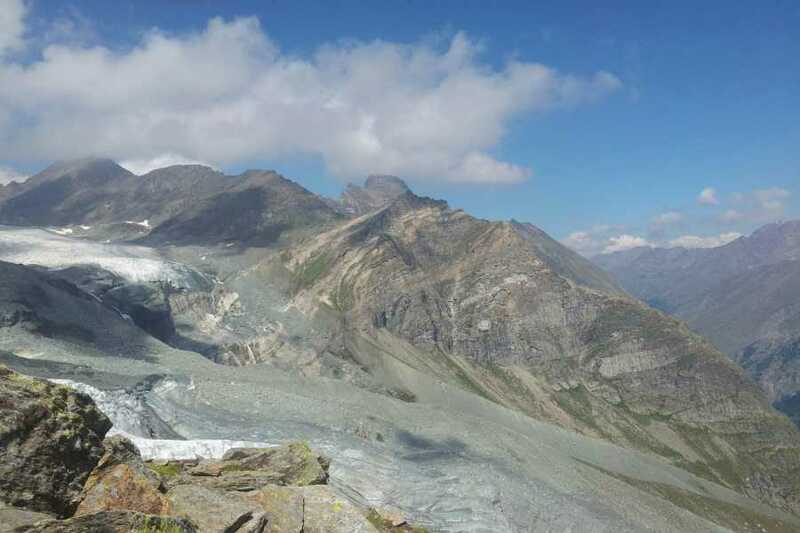 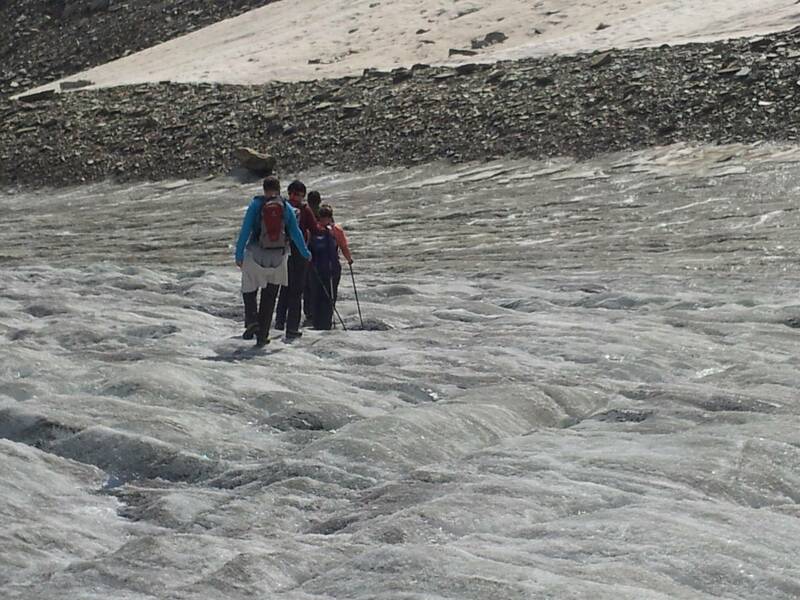 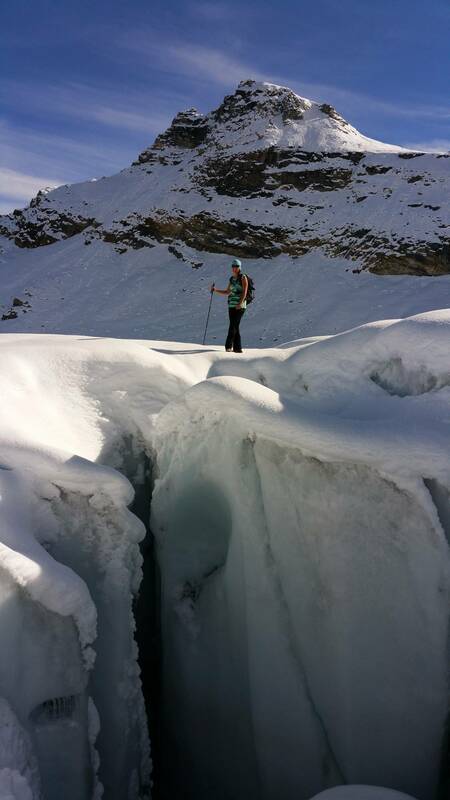 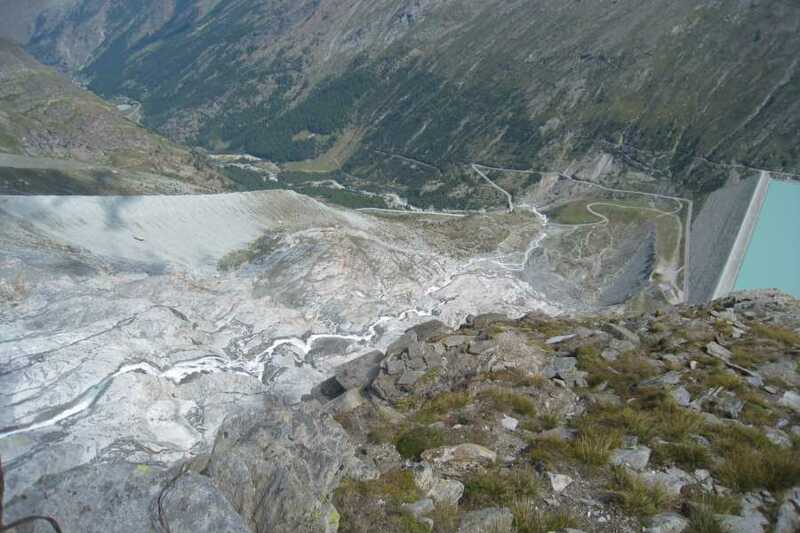 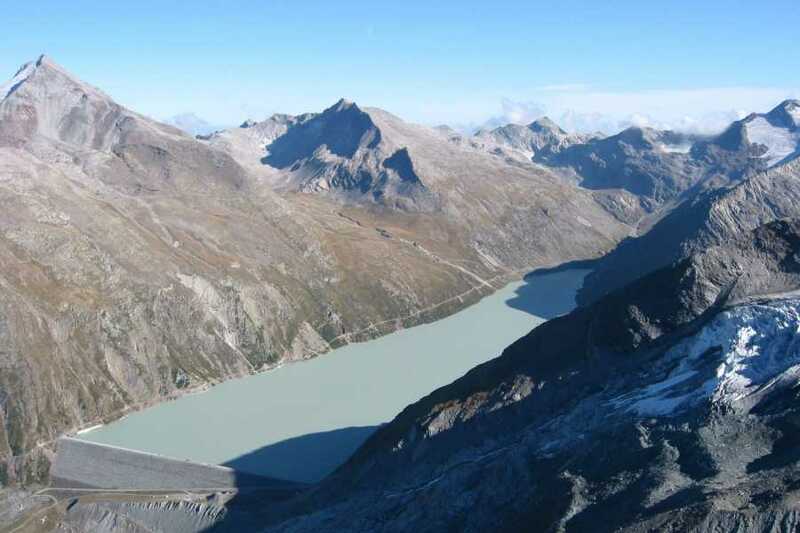 Glacier Safari - Summer glacier trekking - Saas-Fee Guides - The mountain guides of the Saas-Fee valley. 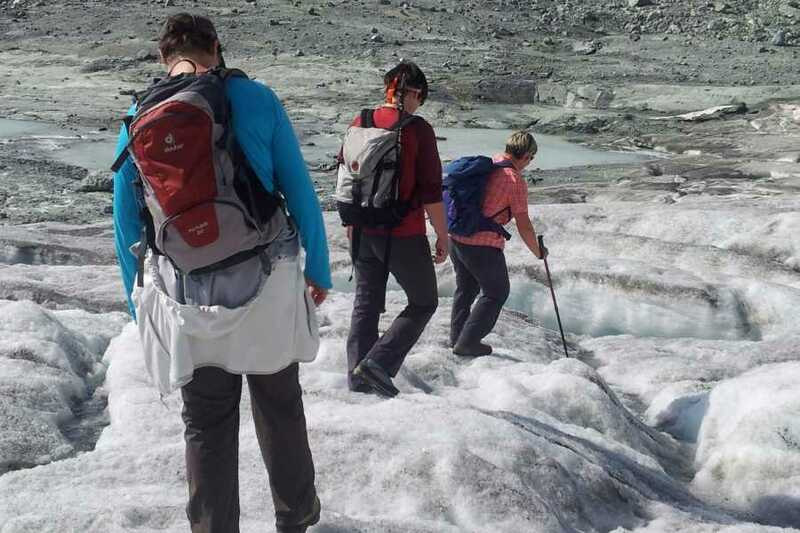 Choose a glacier adventure of a simpler kind. 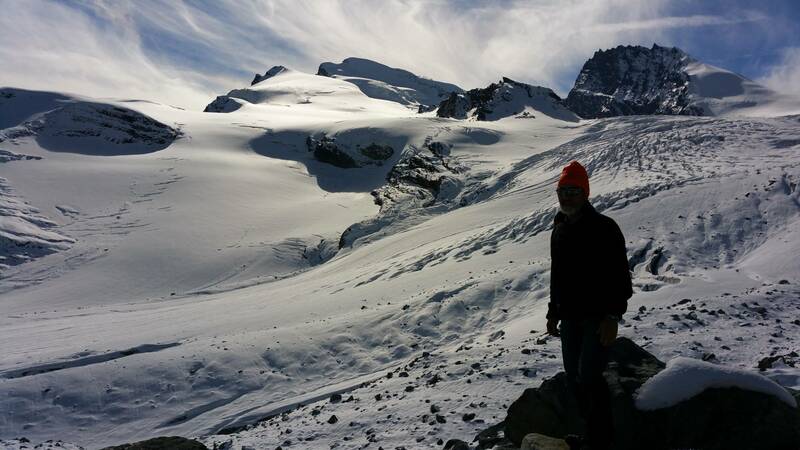 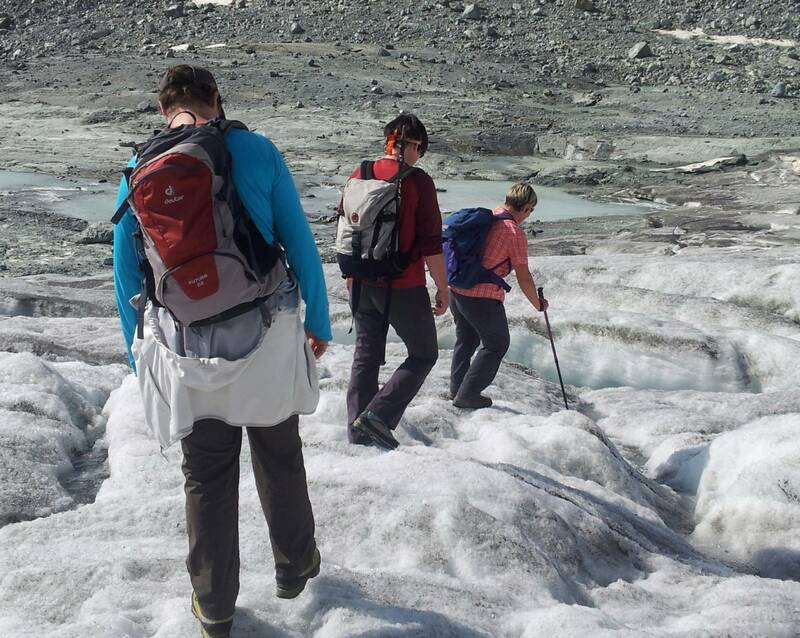 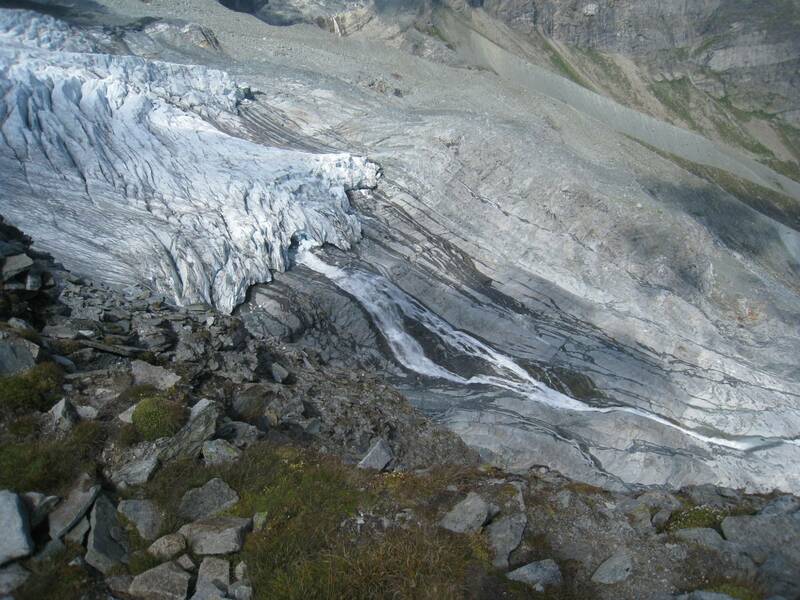 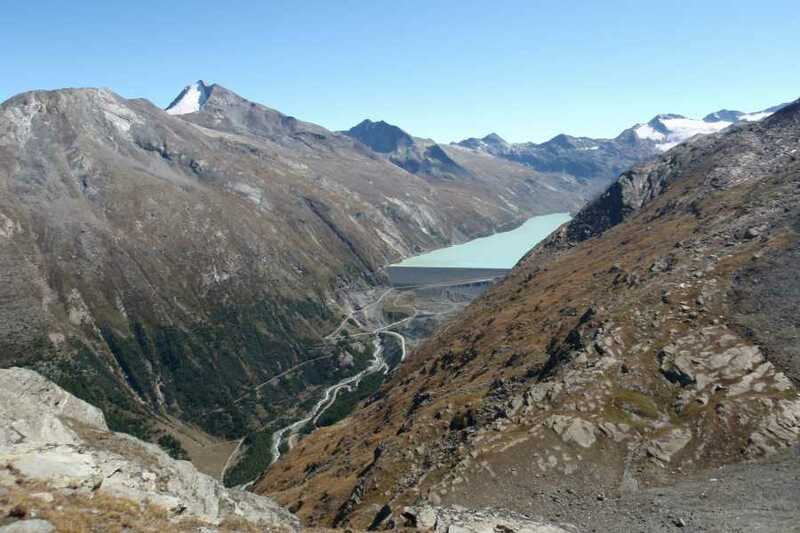 On this easy trek you will be guided safely across impressive glaciers and along emerald blue glacier lakes. 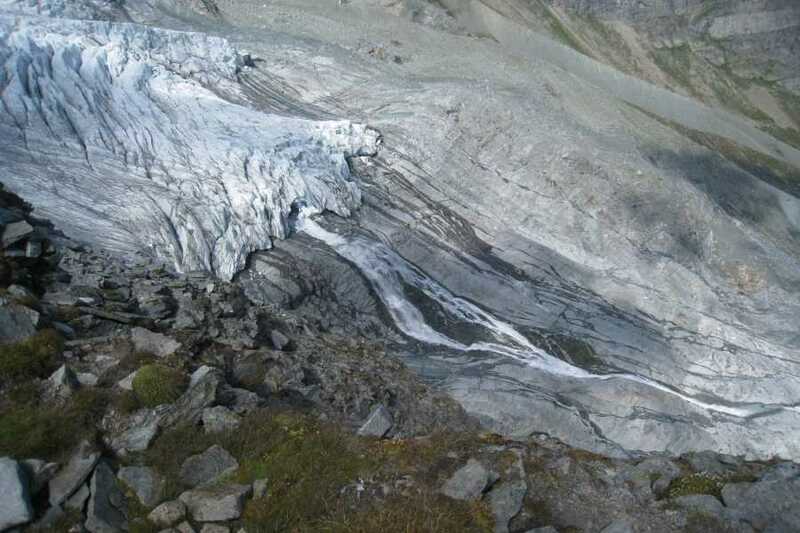 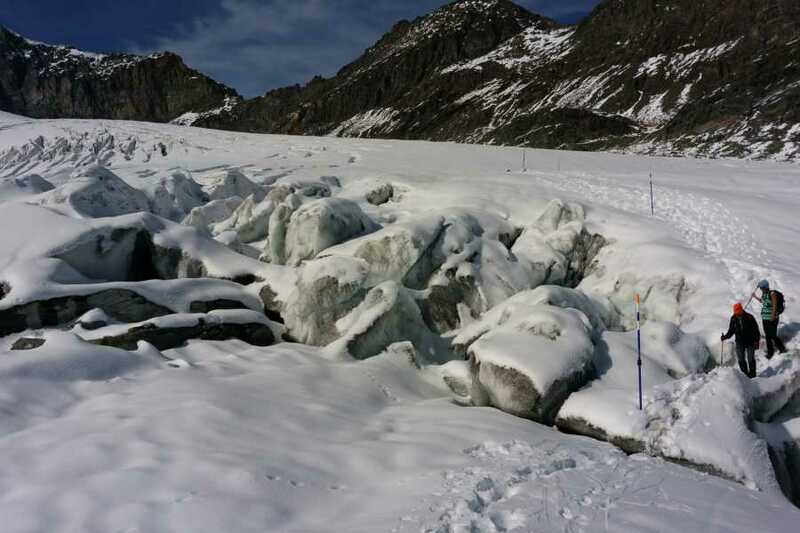 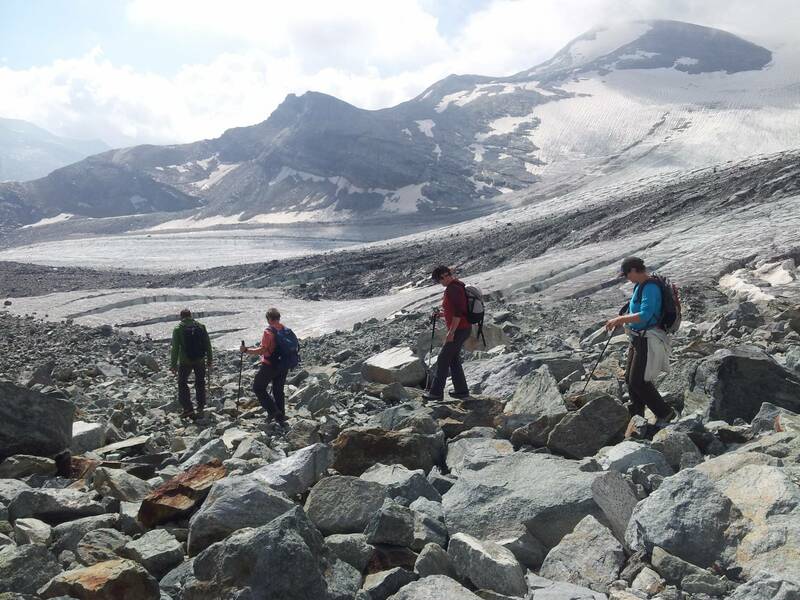 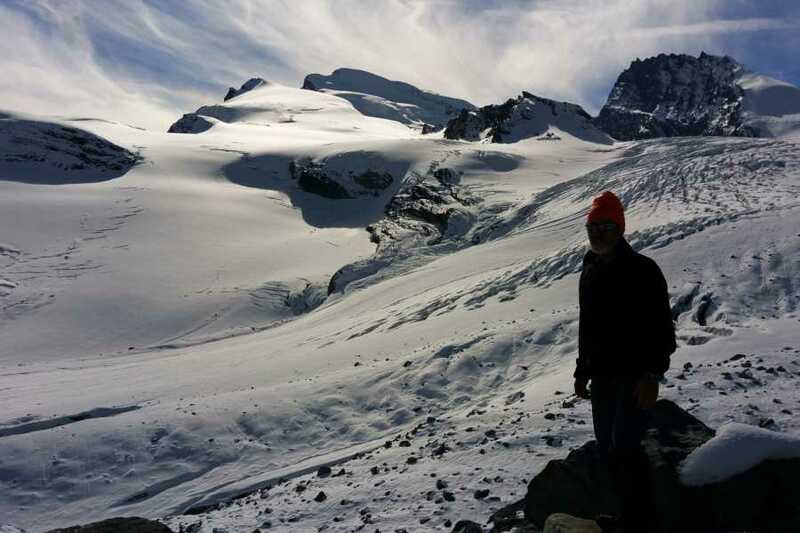 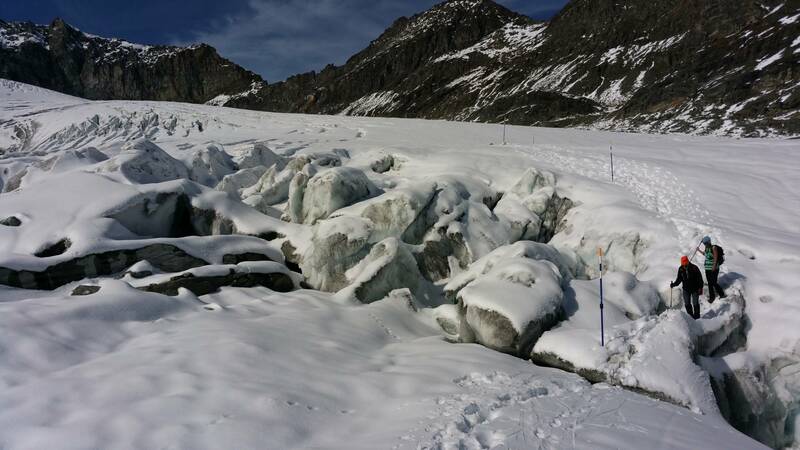 This adventure is suitable for non-climbers and families and the perfect venue to learn fascinating facts about glaciology. 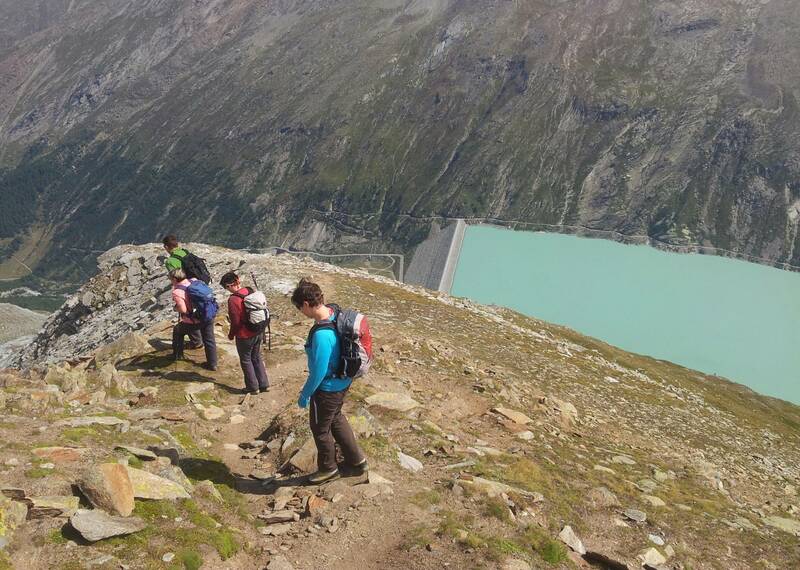 The Metro Alpin takes us up to the intermediate station on 3200m.a.s.l. from where we can gaze at a magnificent mountain panorama. 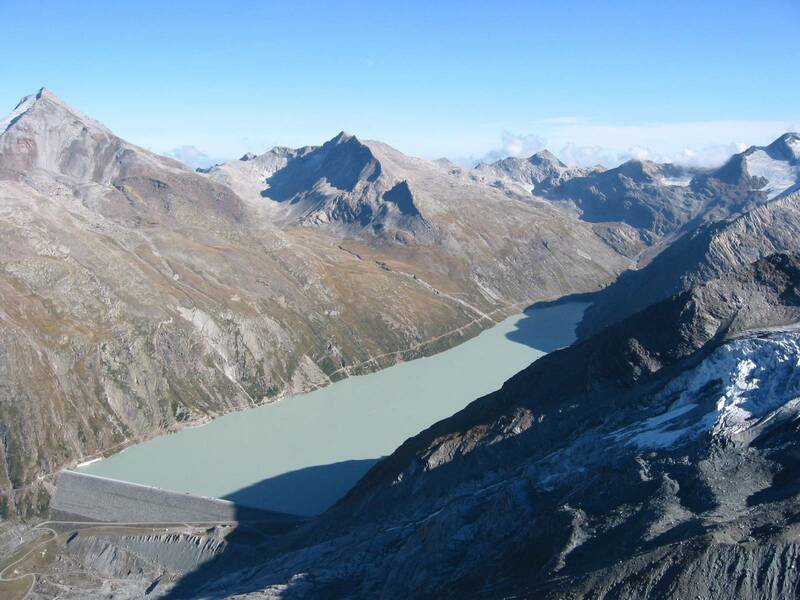 Allalinhorn, Strahlhorn, Fluchthorn are just some of the many peaks surrounding us. 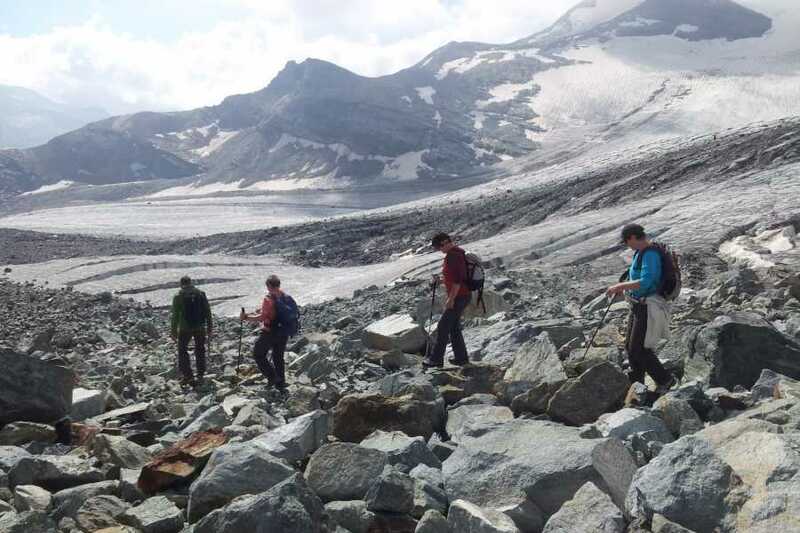 Hiking the Hohlaub glacier, only accompanied with the sound of crunching snow below our crampons, we reach the Britannia hut. 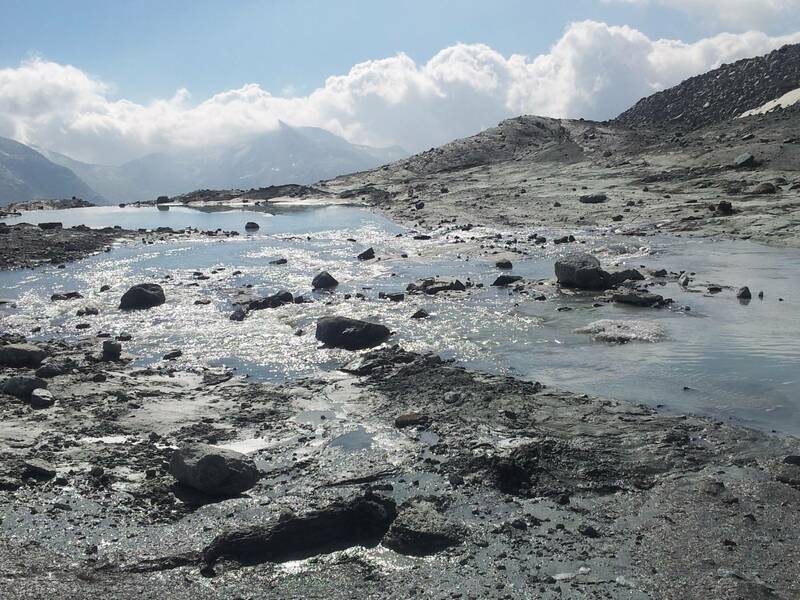 Take a last breath of solitude before we have to head back to Felskinn mountain station (3000m.ü.M.) 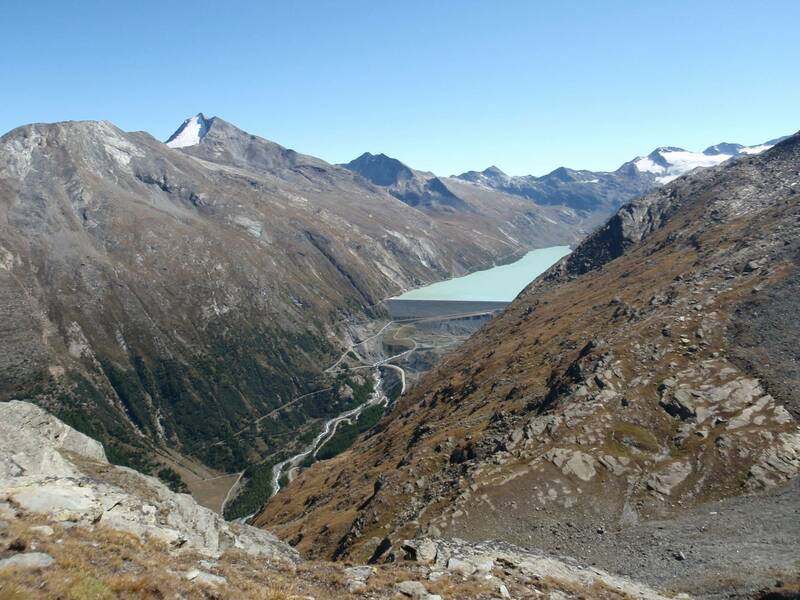 where civilization awaits us again. 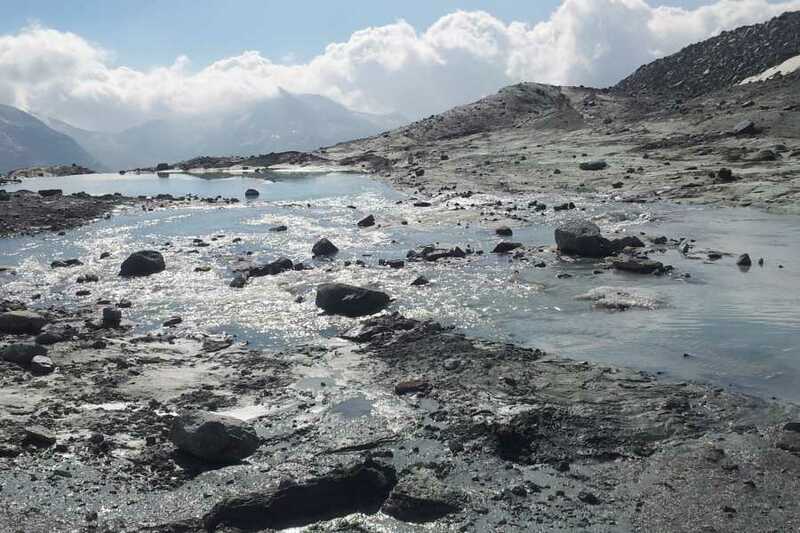 But the tranquil memories of the remote ice world will last for a long time!